Americans have experienced increases in anxiety levels over the past year, a new report from the American Psychiatric Association (APA) finds. And some generations seem to be feeling it more than others. According to the survey, this year's national anxiety score is 51 on a scale from 0 to 100. That's a five-point jump since 2017. Millennials continued to be more anxious than Gen Xers and Baby Boomers. But Baby Boomers experienced the greatest increase in anxiety levels -- a seven-point spike from 2017 to 2018. Women reported feeling more anxious than men, and people of color expressed higher levels of anxiety than Caucasians. Overall, nearly four in 10 people say they are more anxious than they were this time last year. For the report, the APA surveyed more than 1,000 adults from across the United States and compared the results to a similar poll from this time last year. Participants rated their anxiety on five different areas, including health, safety, finances, relationships, and politics. Across the board, Americans reported being more anxious in all five areas. However, the biggest increase in anxiety levels was around paying bills. Nearly three-fourths of women and three-fourths of young adults aged 18 to 34 said they were somewhat or extremely anxious about paying their bills. Four in five Hispanic adults reported the same thing. In the survey, people expressed nearly equal levels of anxiety about health, safety, and paying bills. Politics and relationships were somewhat less of a concern. "This poll shows U.S. adults are increasingly anxious particularly about health, safety and finances. 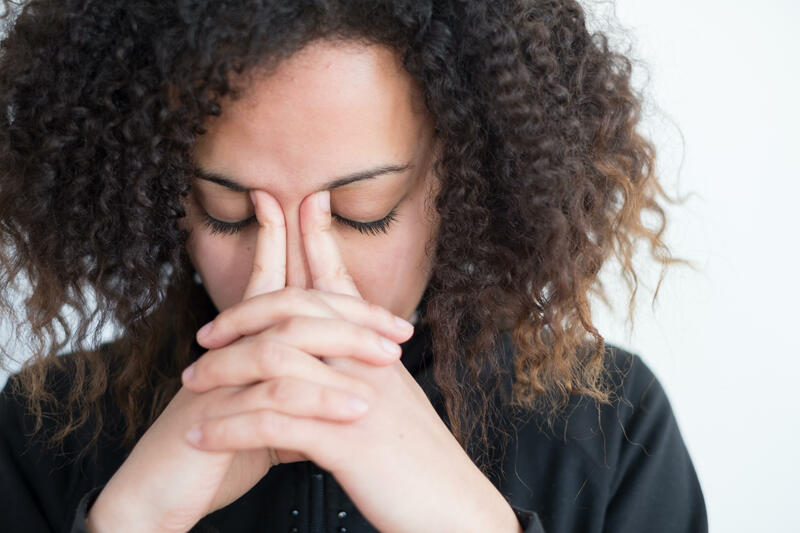 That increased stress and anxiety can significantly impact many aspects of people's lives, including their mental health, and it can affect families," APA President Anita Everett, M.D., said in a statement. The report also looked at people's attitudes toward mental health and treatment. Approximately 75 percent of those surveyed say untreated mental illness has a significant impact on the U.S. economy. About half of Americans say there is less stigma against people with mental health than there was 10 years ago, but 35 percent say they would not vote for a candidate for elected office with a diagnosed mental illness, even if the candidate had been treated for it.